Studies have shown that Herbafast innovative combination reduces hunger, weight and eliminates toxins from your body. In the detoxifying process that occurs the under fat is lost, cellulite is eliminated and a better younger skin complexion is achieved. A combination consisting of fat burners (capsaicin, pepper and ginger) will fight excess fat together. 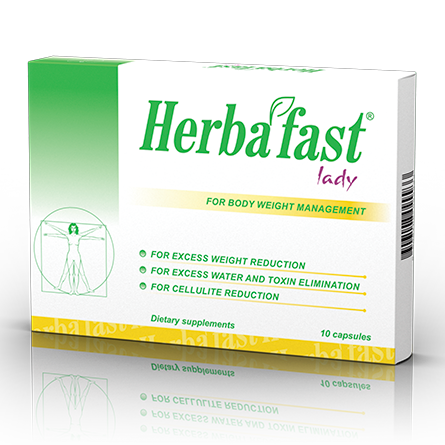 Herbafast® lady capsule enhances excess water removal, from being trapped inside the fat tissue and cellulite. 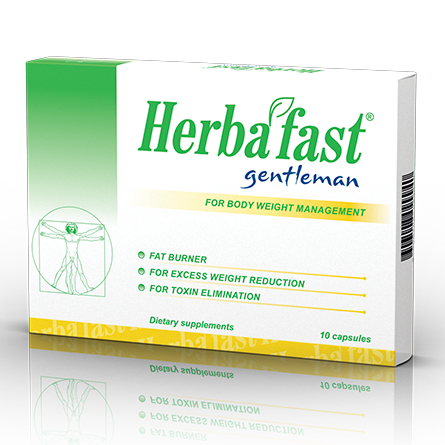 The new innovative formula of Herbafast capsules have been proven to eliminates toxins and helps reduce weight and cellulite. Ginger acts as a natural appetite lowering agent and helps you lose weight. It also stimulates feeling of fullness and reduces food cravings. YOU WANT NATURALLY FIT BODY? Make a strong decision that it is time to lose weight and get your body into shape. Set time and weight goals, but be realistic. Stuff done “fast” most of the time ends up to be short term. Set your watch for your daily Herbafast Lady or Herbafast Gentleman capsule. It is necessary to regularly take the capsule and in the same time! Adjust your food intake! This does not mean a rigorous diet is necessary, but if we decide to reduce weight, diet must be monitored (more fruit and vegetables and less fast food). Take plenty of water! A minimum of 1.5l of fluid a day (avoid sodas and juices full of sugars). During summer, even up to 2.5l of fluid a day is needed! Measure your progress and get used to your new look! Believe in yourself and don’t give up! I just to have 149 lbs and it started to bother me. I never had time for gym and psychical activity. When I ran into Herbafast ad I told to myself that I have nothing to lose... It is natural, so it does not harm my health. I drank it for 2 and a half months 2 times a day. During usage I stop using sweet spirits and minimized fast food and sweets usage. I lost 22 lbs during this period. My experience with Herbafast is GREAT! I'm in my 8-day, and I am sooo happy! It really helps! 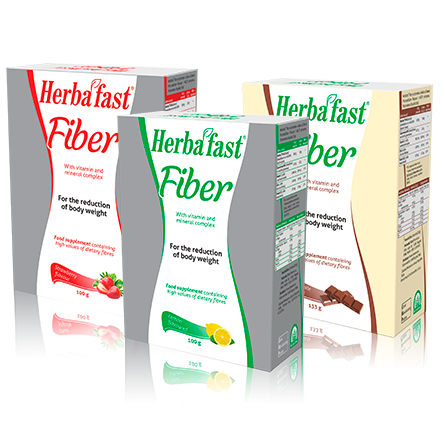 I started using my 5th Herbafast Fiber package and have lost 6kg in a month and a half. Herbafast Fiber is the BEST formula for losing weight! I started to drink yesterday, so far so good, I do not have the appetite, I will write You my experience and in a couple of days along with the results! The fourth day of use ... this is awesome ... digestion and urination are regulated and do not feel the need for a large amount of food, simply I am not hungry but full ...! I am an athlete, but have a "mild" excess of kilograms that are hardest to take off. The product is EXTRAORDINARY. Really, without any motivation or desire to promote I am still very satisfied. Appropriate amount of water, some sport and Herbafast Fiber between meals and the result cannot fail. Recommended! My name is Mia and I am 27 years old. I used Herbfast Fiber - strawberry which is an excellent product because it fulfills and my digestion is regular. I am very happy that I do not have to eat as much. I am very grateful. Excellent, already having their second package You can just see that the pounds disappear! Here I am after exactly 2 weeks and the scale says I have lost 7 kilograms. I started with 2 boxes, lemon and strawberry. One I keep at my work and one at home. It will suffice until the of the third week. Pounds are melting. My face seems younger. I am full of confidence. I send You kisses!